Artificial intelligence, machine learning, deep learning. These are some terms that are in high demand in many professional fields, but which are not yet familiar to many in news media. The next massive open online course (MOOC) from the Knight Center, conducted in partnership with Microsoft, will familiarize students with the fundamentals of artificial intelligence (AI) and how it affects the news industry. In the course "How to cover artificial intelligence and understand its impact on journalism," students will learn the main techniques, tools, and conceptual and statistical fundamentals of this technology. Registration is open and the course begins on Nov. 19. This four-week course will be coordinated by Guilherme Jardim Duarte, data editor at Jota. 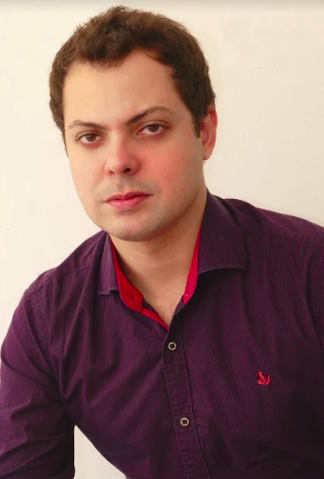 Before becoming Jota's editor, he was a data scientist for the newspaper Estado de S. Paulo and Itaú iCarros. He has experience as an instructor in courses on R, Python, machine learning and predictive models. What problems does AI try to solve? What are the main applications of AI? "Artificial intelligence has been one of the most talked about topics in recent years, especially since there have been many recent achievements in terms of automation: audio recordings are automatically transcribed, cars are driven, computers learn to beat games, artwork and new music are created by machines. What is truth and what are lies in this new world? What is hype and what is not? How can these changes help journalism? Understanding all these particularities allows the journalist to improve his work, being more critical of news, and even using some of these techniques on a daily basis. The Knight Center course will help them gain this knowledge," Jardim said. As with all Knight Center courses, the instructor will present his lessons via video, and participants also will have access to presentations, readings, discussion forums and weekly quizzes. The MOOC is asynchronous, meaning there are no live activities. Students can participate and complete practical activities throughout the week at their own pace, on the days and hours they prefer. This is the second course about artificial intelligence that the Knight Center has offered in partnership with Microsoft. Journalist Sandra Crucianelli is instructor of a similar course in Spanish that began on Oct. 22. "At Microsoft we believe that AI can amplify human ingenuity, helping to solve some of humankind´s greatest issues. We also recognize how quickly the era of the Fourth Industrial Revolution has come upon us, and the challenges and opportunities it brings," said Florencia Bianco, communications director for Latin America at Microsoft. "We hope that this course will complement skills-building on AI for journalists, recognizing them as a key player in helping to bring understanding and critical thinking, as we navigate much of AI´s unchartered territory in Latin America." The course was designed for journalists, but is open to anyone interested in learning about artificial intelligence. There are no prerequisites, students will only need a stable internet connection to access the weekly modules. Students who successfully complete the course, including weekly quizzes and weekly participation in discussion forums, may obtain a certificate of completion upon verification by the Knight Center staff. The certificate is optional and will be available in PDF format for $30, attesting to participation in the online course, but no formal academic course credit of any kind is associated with the document. The payment of the fee can only be made using an internationally valid credit card, at the University of Texas at Austin's secure website.